Wendy Bermingham grew up in the small town of Aurora Ontario. 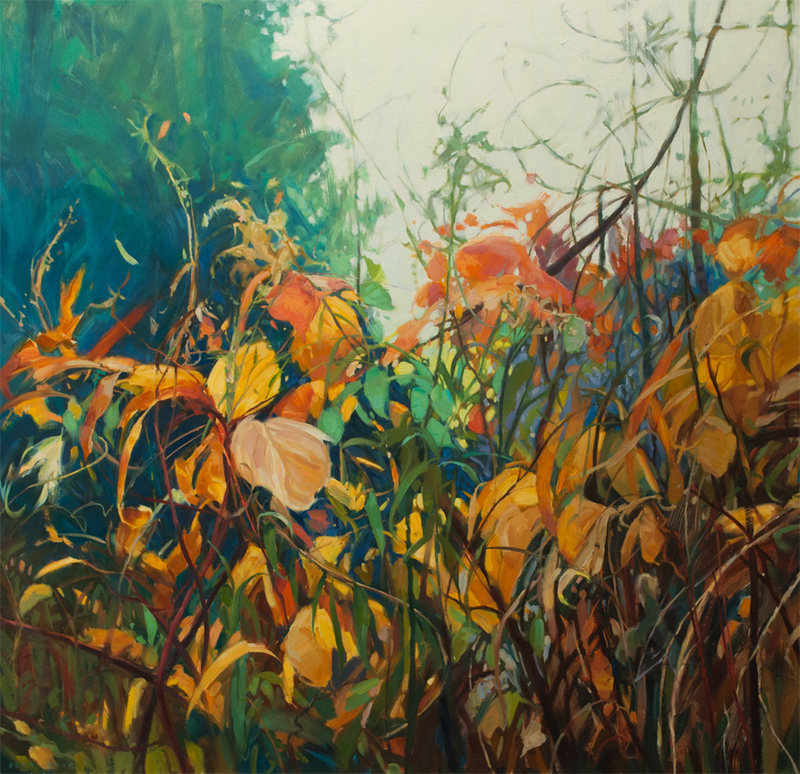 Graduating from the Ontario College of Art and Design in 1985 with a major in Communication and Design and winner of the prestigious Southham Scholarship for Excellence, Wendy truly fulfilled her childhood dream of becoming an artist. Moving to Toronto, Wendy enjoyed working as a freelance assembly artist for a short time but later developed a successful career at MCG Graphics, a close knit, in-house studio of Ogilvy and Mather Advertising, working as a graphic artist with major accounts such as Canadian Pacific and Minera Mines. Twelve years later, after spending time getting back to nature, she discovered that fine art was her true calling. Primarily self-taught, Wendy now paints full time, every day in her studio or outside painting en plein air and has never looked back. 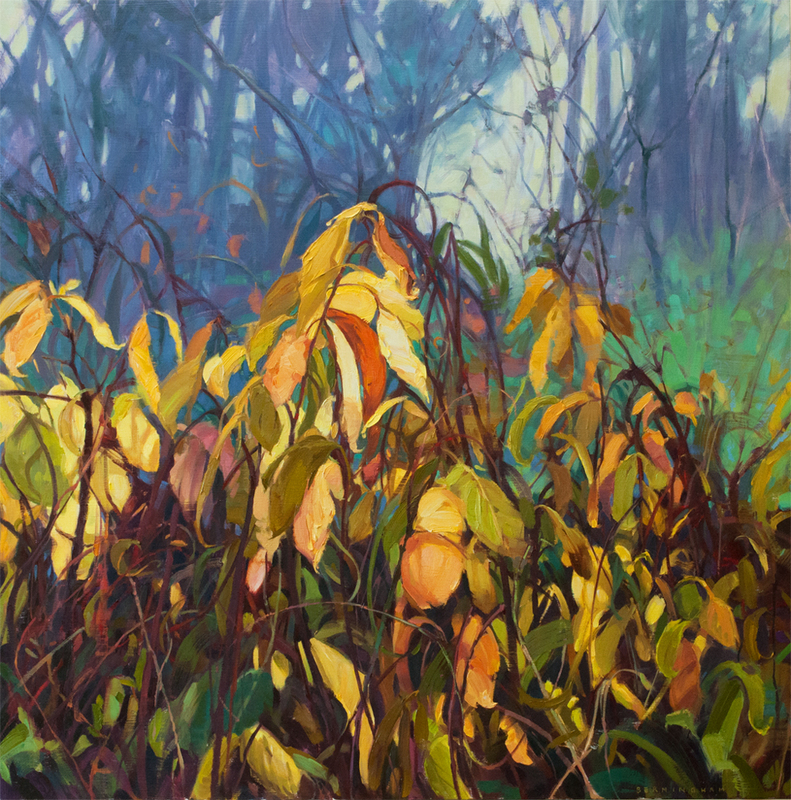 Wendy has traveled throughout Ontario, Europe and USA to paint, including Italy, California and Arizona but it is the Canadian landscape where her true passion lies. 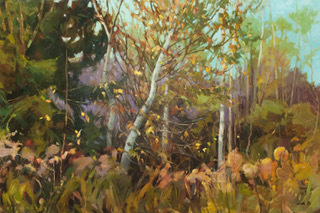 Painting exclusively in oil and using both brush and palette knife, Wendy captures the texture, light and movement of forests and trees.